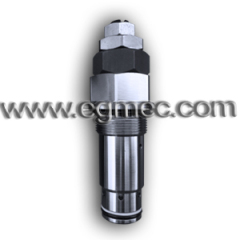 The hydraulic pressure cartridge valve is the part of Komatsu excavator machine, which is the pressure control direct type valve, there are adjustment pressure relief and not adjustment type. 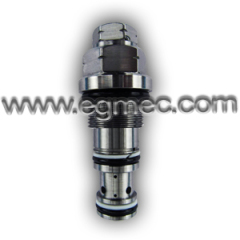 Its main function is to unload the system pressure and keeping the the normal pressure of the hydraulic system. The are more parts for the Komatsu excavator machine of PC60-5-6, PC100-3, PC120-5, PC200-1-2-3-5-6-7-8, PC300-1-2-3-5-6-7, PC400-3-5-6, PC450-6, PC600-6, PC650-3, PC650, PC1000 series. 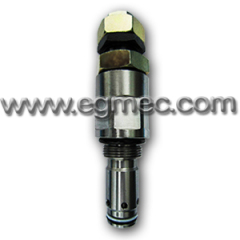 Group of Komatsu Excavator Pressure Cartridge Valves has been presented above, want more	Komatsu Excavator Pressure Cartridge Valves and Komatsu Excavator Hydraulic Pressure Cartridge Valves, Please Contact Us.